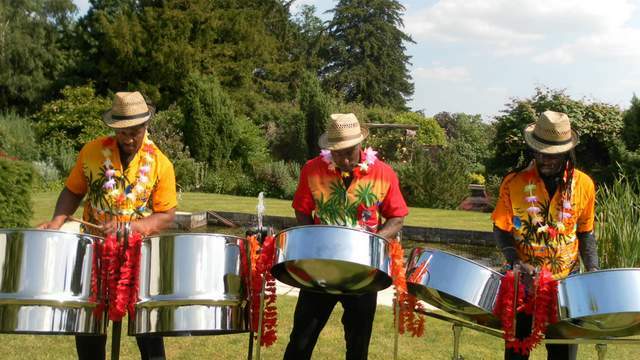 Steel Drum Band Hire for Weddings, Parties, Corporate Events and Team Building. With a range of styles from traditional island songs, to recent pop songs, reggae, and even Christmas carols, our Steel Drum Band can add a real taste of the Caribbean to any occasion. 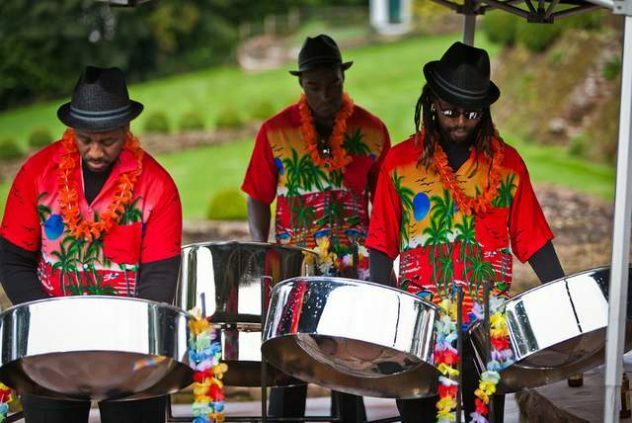 With flexible lineups and musicians all over the UK, Steeldrumbands can provide the right outfit for any occasion. Versatile and available in different sizes, from a soloist to a sextet, they can adjust to fit any space and budget. The Steel Drum Band can play before, during or after your ceremony. They can even learn a request to make your wedding day even more special. 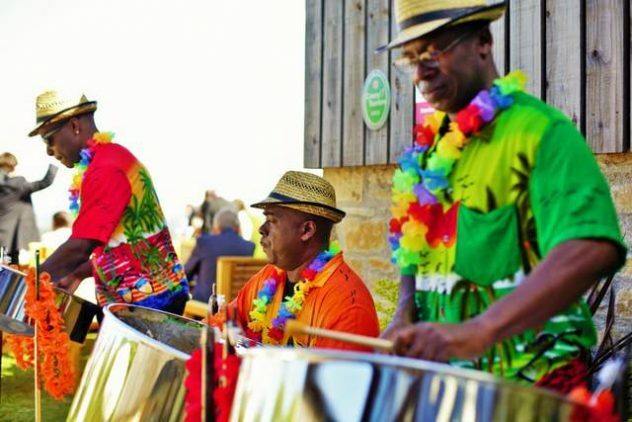 Why not use their style of Caribbean music to help encourage your team to move with the same rhythm, or simply use one of their fun workshops as a change to your usual entertainment.